Disappointment in Guatemala City earlier this year in February, when beaten in the final of the Cadet Boys’ Singles event by Mexico’s Dario Arce at the 2017 Central American Junior and Cadet Championships; six months later in the very same venue, it was the top prize for Panama’s Jacobo Vahnish. The no.3 seed, he won the Boys’ Singles title at the 2017 Latin American Cadet Championships on the early evening of Saturday 12th August. At the final hurdle, the 14 year old accounted for Argentina’s Matias Velarde, the no.4 seed (11-9, 11-6, 11-3), having in the latter rounds beaten Brazil’s Diogo Silva at the quarter-final stage (11-9, 11-8, 11-6) and one round later Peru’s Adolfo Cucho (11-7, 11-7, 11-3) to reserve his place in the final. Notably Diogo Silva and Adolfo Cucho were players in form. Both had beaten highly rated Argentine adversaries before losing to Jacobo Vahnish. In round two Diogo Silva had ended the hopes of Luciano Alto, the top seed (11-8, 11-9, 11-9); at the quarter-final stage, Adolfo Cucho had ousted Matias Guadalupe, the no.2 seed (11-4, 6-11, 11-7, 14-12). An impressive series of wins for Jacobo Vahnish; for Matias Velarde in the later rounds, life was more exacting. In the round of the last eight he accounted for Colombia’s Santiago Montes (11-9, 11-13, 11-5, 11-9), before reserving his place in the final, courtesy of success against Carlos Fernandez. Success against the Peruvian but he had to withstand a brave recovery. Matias Velarde won the first two games, only to lose the next two, before eventually clinching success in the deciding fifth (11-5, 13-11, 8-11, 5-11, 11-6). Similar to Diogo Silva, Carlos Fernandez had caused an earlier upset; at the quarter-final stage, he had beaten Mexico’s Dario Arce, the no.5 seed (6-11, 11-6, 12-10, 11-8), the nemesis of Jacobo Vahnish in February. Success for Jacobo Vahnish and if any player in the whole of the Pan American continent deserved the victory it was the player from the most famous isthmus on planet earth. He has travelled the world in his efforts to reach a higher level. Following the Central American Junior and Cadet Championships in February; in early May he competed in the ITTF Challenge Zagreb Open in Croatia, before returning to Latin America for the Buenos Aires 2018 Youth Olympic Games Qualification Tournament in the Dominican Republic. Runners up spot the lot in the second final in the Dominican Republic; the appearance in the Caribbean over, it was back to Asia. 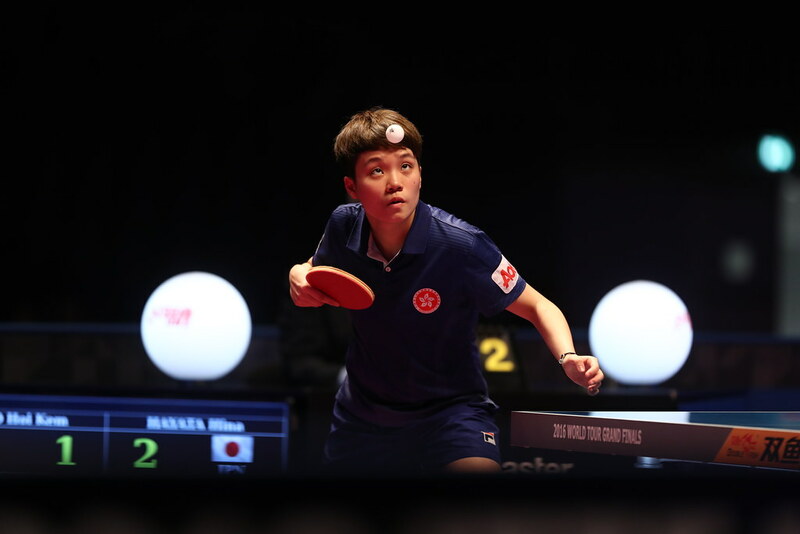 The next stops were to compete in ITTF World Junior Circuit tournaments. In June he was on duty in China, last month in Jordan. In Guatemala, the effort was rewarded. Problems for Luciano Alto and Matias Guadalupe in the Boys’ Singles event; however, that was not the situation in the Boys’ Doubles competition where the top step of the podium was reserved. On the concluding day of action, after overcoming Mexico’s Dario Arce and Adrian Castillo (13-15, 11-9, 13-11, 15-13), they secured the title in an arguably even closer contest; they beat Brazil’s Daniel Godoi and Diogo Silva by the very narrowest of decisions in the deciding fifth game (6-11, 12-10, 11-7, 9-11, 11-9). Two tough matches for the Argentine duo; for the Brazilians, the semi-final had been less demanding. In the penultimate round, they accounted for Puerto Rico’s Angel Naranjo and Jabdiel Torres in three straight games (16-14, 11-8, 11-8). Play in the 2017 Latin American Cadet Championships concluded, one day remains in Guatemala City; on Sunday 13th August, the selection process for the team to represent Latin America at the forthcoming 2017 ITTF World Cadet Challenge will be completed.